When it comes to love and relationships, doubts will almost always present themselves in some way. Whether you’re a hopeless romantic or a more practical partner, you may find yourself questioning your relationship. Those questions might make you wonder whether you want to spend the rest of your life with this person. Don’t feel guilty. It is completely normal to feel these doubts. They may or may not be well-founded. You may be wondering how you can tell the difference between real doubt, self doubt, and insecurity. Your doubt may be based on very present feelings or situations. Self doubt can also play a role and cause feelings that might be unfounded. Attachment anxiety is a main cause of this doubt according to many psychologists. This is nothing to be ashamed of. Feeling insecure is part of the human condition. However, you may want to reflect on a few key questions. It is paramount to answer these as honestly as possible. Your relationships affect every aspect of your life. Feeling stability in your partnership will help you feel stable in other areas of living. Additionally, feeling doubts about your significant other will show. If your relationship is meant to be, you want to be as loving and caring as possible. Doubt may hinder that. You’ll need to figure out why, work on it, or move on. The importance of self-examination cannot be understated. It can be difficult and upsetting, but try to think through your doubts. Write them out on a piece of paper. Look at your thoughts logically to figure out what they really mean. 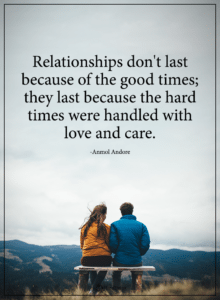 There are many factors that affect our relationships and stability. Asking yourself these questions might make your situation easier. Do You Have a Hard Time Trusting Them? If you find it hard to trust your lover in general ways such as money management, safety, and communication, it may be time to talk through these doubts or move on. However, feeling insecure may be the root cause of your doubts. Past experiences can effectively blur your vision when it comes to your love life. One bad relationship can cast its shadow over all future partnerships if you allow it to. Have you been cheated on? If so, you may find it difficult to trust someone again. Love is a vulnerable state to be in. Allowing yourself to openly trust can be very difficult if you have been betrayed in the past. These feelings are categorized under self doubt. Don’t fret, because there are many ways to recover from being cheated on. One major cause of distrust is lack of effective communication. Your partner is not a mind reader, and neither are you. No matter which side is to blame, communication must be honest and constant to create a solid basis for your relationship. Willingness to communicate is also essential. Talking through tough issues and decisions helps to make compromises easier. However, you may be dealing with a stubborn person. They might be unwilling to learn to communicate. This is never a good thing. When problems remain dormant, they will come out in an ugly fashion. If your doubt is ignored, it will only grow stronger in your subconscious mind. It may make you feel as if you’re going crazy. Don’t worry, there are many ways to deal with a stubborn partner. Verbal communication is paramount, but other types of communication are just as important. For example, being intimate with your partner is a form of communication. This is especially true when your intimacy isn’t just sexual. It is essential to give and receive love. Doing so will help you feel more comfortable while staying open with one another. Are Your Doubts Based on Facts or Assumptions? Depending on the type of person you are, it may be easy for you to become too logical. When thinking through your doubts, you may imagine that you will feel this way forever. You may feel so much doubt that you begin to wonder if soulmates really do exist. These feelings are healthy to a point, but being overly cynical harms your relationship further. However, it is vital to decide whether your doubts are founded. You can try meditating on this. Sit calmly for twenty minutes, close your eyes, and focus on your breath. Practicing this will allow you to think with a clear mind and heart. Afterward, self-reflect on your problems. You may be hurting, but it’s essential to think about what makes you feel this way. Did your partner say something that made you upset? Do your doubts have reasoning to back them up? Are you assuming things you don’t know about your partner? This is an easy trap to fall victim to. Assumptions can cause imaginary problems in even the best relationships. This is where communication comes in. If you’re assuming their thoughts, motives, or actions, it’s a good idea to talk this through with them. On the other hand, doubts can be the result of real statements or actions. These feelings are based on fact. When these are pervasive enough, it may be time to move on. On the flip side, you may feel better after a long conversation if assumptions were to blame. Nobody likes to feel the way you are feeling right now. Even people in the closest relationships can become victims. Instability hurts, especially when you are constantly worrying if the one you love is truly your soulmate. It is incredibly difficult to feel stable when you’ve been lied to, cheated on, or have a stubborn partner. Thankfully, there is a light at the end of this dark and doubtful tunnel. Self-evaluation and communication with your loved one can help tremendously. It is vital to deciphering whether your worries are based on facts or assumptions. Hopefully, this advice will help you better understand your worries. It is meant to help you work through them with self-reflection, communication, trust, and meditation. Afterward, you will be free to continue with life as usual. Remember, doubts are not the end-all, and you are never alone in how you feel.